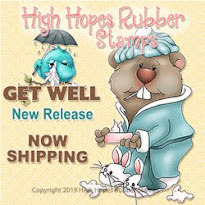 High Hopes Stamps: Dragon Hop!!! The base of the card was created with a Basket Weave embossing folder and green cardstock. 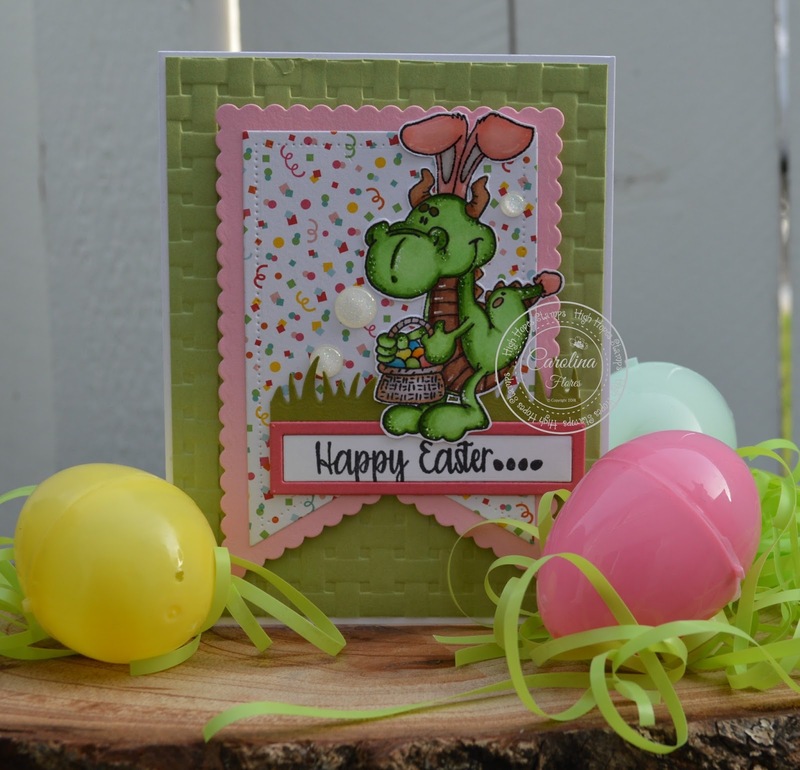 This cute image is "Dragon Hop" and the sentiment is "Happy Easter" I add glossy accent on his adorable bunny ears and Easter eggs. 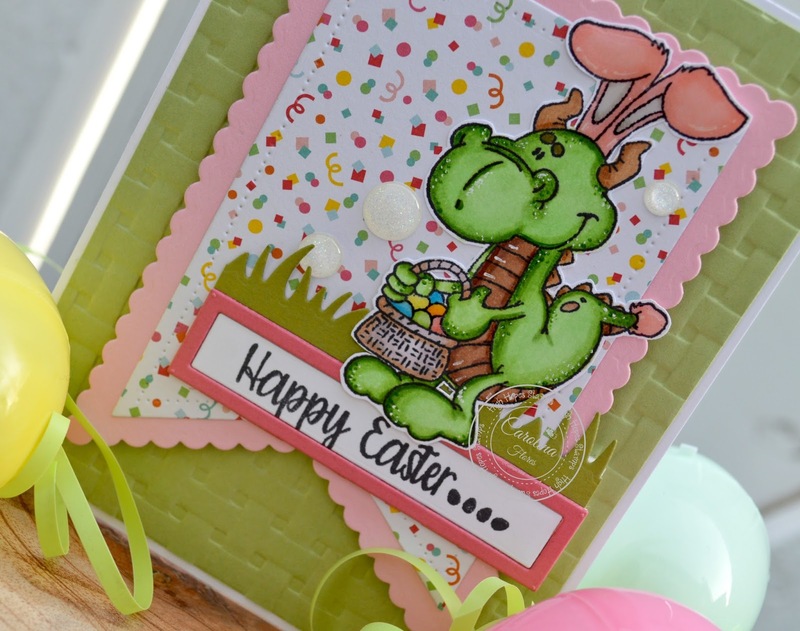 To finish my card, I pop the banner with 3D foam tapeand add a few adhesive enamel dots. 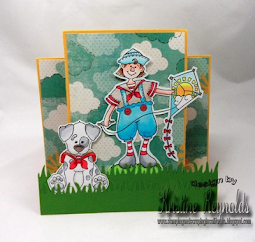 Fabulous card. 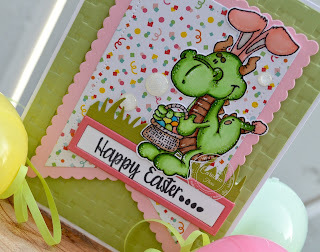 Love the layers, colors, and adorable dragon. Awesome coloring.